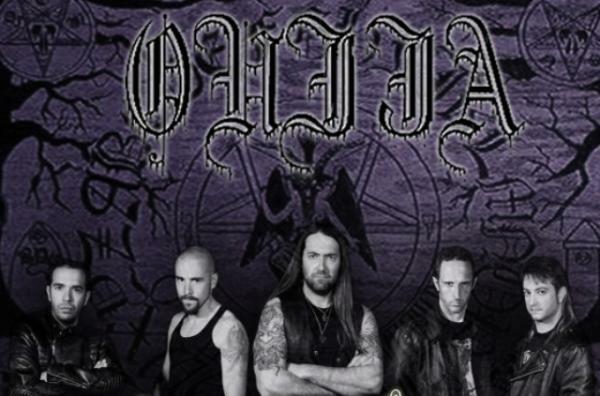 In 1994 from the ashes of LEVIAL (our old death metal band) we deciced to form OUIJA because we needed another way to communicate our feelings and the different changes about the concept of our music in that moment…so OUIJA born. In 1997 was released our first album under the Spanish label Repuse Rec, currently we are working on our new mini-cd that will be released in December of this year by Xtreem Music… the current line up is: Map (guitar), Murcilag (guitar), Fulgur (drums), Aldromk (bass) and Midgard (vocal). You'll find only true metal of death in our music; if you need it; this your stuff. 'Adversary' - 2010 - Xtreem Music. The acceptance of our first album was really exceptional so much in Spain as in the rest of Europe, also in South America we got a lot of fans there. OUIJA is going to play a few times; just in carefully chosen festivals, we will fuse our old songs with the new stuff so that our fans enjoy also of our legendary hymns. OUIJA as well as keeping these awesome melodies and great song structures which will for sure please not only every long time fan of the band, but every lover of great quality Black Metal!! Right now we just think of doing new songs with OUIJA for the next album; we are an underground band and this is the reality now, apart from that the future will speak, all successes will always be welcome; we aren't cynics about this..